Today, people take it for granted that they live in a world that isn’t threatened with imminent nuclear annihilation. A little more than half a century ago, that was the kind of world people lived in, where the United States and Soviet Union were locked in a constant game of one-upmanship that revolved around the development of nuclear weapons. At the same time, this competition extended to include sports, politics, and the race to reach space. And on October 4th, 1957, the Russians were the first to accomplish this goal with the launch of Sputnik-1, an unmanned research and communications satellite whose appearance ignited the “Space Race” and forever altered the course of history. During the early 1950s, the Russians had conducted extensive orbital research using rockets. However, these efforts were limited by the fact that conventional rockets could only achieve orbit for a maximum of a few minutes before falling back to Earth. The next step seemed obvious: placing a research satellite into space that could maintain its orbit and therefore conduct scientific research for an extended period of time. Beginning in March of 1954, Russia’s three top scientists – Mstislav Keldysh, Sergei Korolev and Mikhail Tikhonravov – began discussing the idea of creating an artificial satellite that could be placed into orbit. According to Tikhonravov, such a move would be the next necessary step in the development of rocket technology. Their efforts received a boost when, on July 29th, 1955, U.S. President Dwight D. Eisinhower announced the US’ intent to launch an artificial satellite during the International Geophysical Year (IGY) – an international scientific project that lasted from July 1st, 1957, to December 31st, 1958. Because of this, the Soviet Politburo approved of the plans for an artificial satellites and aimed for a launch date that would take place before the beginning of the IGY. The project was approve and the task of creating it was divided between various ministries and the USSR Academy of Sciences. Keldysh was given control of a commission to oversee develop the “automatic laboratory” aboard the satellite, Tikhonravov and his team of engineers would be responsible for designing the satellite, and Korolev – as head of the Ministry of Defense Industry’s primary design bureau (OKB-1) – would be responsible for building it. Initially, the Soviet plan for an satellite (known as Object D) was planned to be completed in 1957–58, and called for the creation of a spacecraft that would have a mass of 1,000 – 1,400 kg (2,200 – 3,100 lb) and would carry 200 – 300 kg (440 – 660 lb) of scientific instruments. In terms of tasks, the mission would seek to measure the density of the atmosphere and its ion composition, solar wind, the Earth’s magnetic field, and cosmic rays (largely for the sake of future missions). A system of ground stations was also called for in order to collect data transmitted from the satellite, as well as observe its orbit and transmit commands. By the end of 1956, it had become clear that the specifications called for were too ambitious to be accomplished within the established time frame. Fearing the US would launch a satellite before the USSR, Korolev and the OKB-1 suggested that a simpler, lighter satellite could be launched in April-May 1957, before the IGY began. This satellite would weight about 100 kg (220 lbs) and would forgo heavy scientific instruments in favor of a simple radio transmitter. 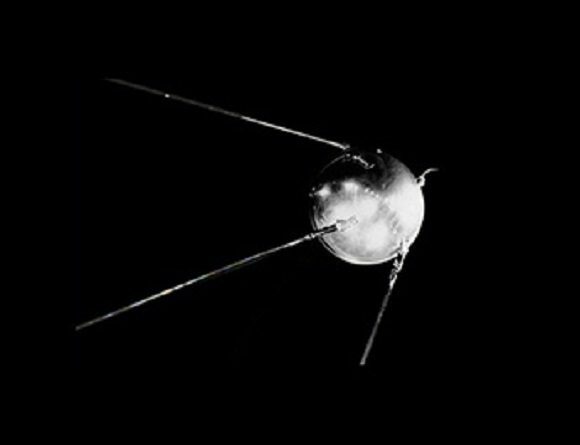 On February 15th, 1957, the Council of Ministers of the USSR approved this simple satellite, designated “Prosteyshiy Sputnik” – Russian for “Simplest Satellite” – (aka. Object PS), and made arrangements to launch two versions (PS-1 and PS-2) using R-7 rockets. On October 4th, at 19:28:34 hours Greenwich Mean Time, Sputnik-1 was launched into space from the Baikonur Cosmodrome. The satellite orbited the Earth for three months and emitting radio signals which were monitored by amateur radio operators throughout the world. The signals continued for 22 days until the transmitter batteries ran out on October 26th, 1957. Before finally burning up during reentry on January 4th, 1958, the satellite traveled a total of about 60 million km (37.28 million mi) and completed 1,440 orbits around the Earth. Sputnik-1 also helped to identify the density of the atmosphere’s upper layer, provided data on radio-signal distribution in the ionosphere, and allowed for the first opportunity for meteoroid detection. Apart from its value as a technological first, Sputnik also had the effect of expediting both Soviet and American efforts to explore space. News of the launch triggered a great deal of fear in the United States, as many worried that Sputnik could represent a threat to national security, not to mention America’s technological leadership. As a result, Congress urged then-President Dwight D. Eisenhower to take immediate action, which resulted in the signing of the National Aeronautics and Space Act on July 29th, 1958, officially establishing NASA. Immediately, NASA became dedicated to researching hypersonic flight and taking the necessary steps towards creating crewed spacecraft. The Soviets did the same, taking drastic steps towards the creation of rockets and crew capsules as part of the Vostok Program. 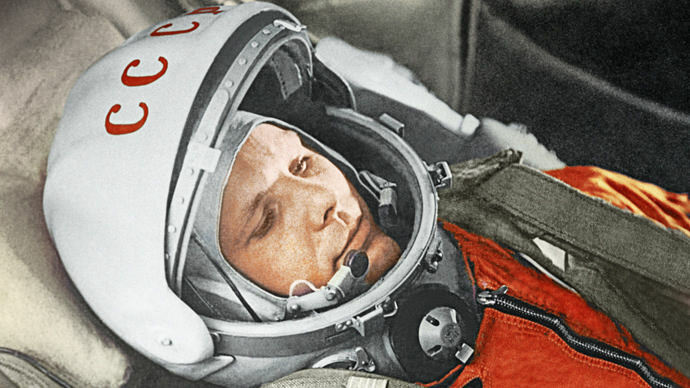 This would culminate in the first man being launched into orbit space – cosmonaut Yuri Gagarin – on April 12th, 1961. The pace of this competition would continue until July 20th, 1969, when the US made the historic first of landing astronauts on the Moon. Decades later, Sputnik-1 is still viewed as a groundbreaking achievement. Despite its diminutive size and simplicity, its launch was a major breakthrough for the Soviets, and caused no shortage of fear and consternation in the west. In many ways, we are lucky to be living in an age where cooperation has taken the place of competition. Today, such breakthroughs are the result of a world coming together, and not enmity between nations. We have written many articles about the satellites and Space Age here at Universe Today. Here’s Who was the First Dog to go into Space?, Who was the First Monkey to go into Space?, Who was the first Man to go into Space?, Who was the First Woman to go into Space? and Who Are The Most Famous Astronauts? If you’d like more information on the Sputnik mission, here’s a link to NASA’s Solar System Exploration Guide on Sputnik, and here’s the homepage for NASA History: Sputnik. We’ve recorded an episode of Astronomy Cast all about the History of Astronomy. Listen here, Episode 187: History of Astronomy, Part 5: The 20th Century. “only achieve orbit for a maximum of a few minutes before falling back to Earth” is incorrect statement which misuses term “orbit”. Those vehicles apparently did suborbital flights. Next PostNext How Do Supernovae Fail?